Bring a wonderfully retro vibe to your space with the Binetti Retro Cement Sofa by Emerald Home Furnishings. 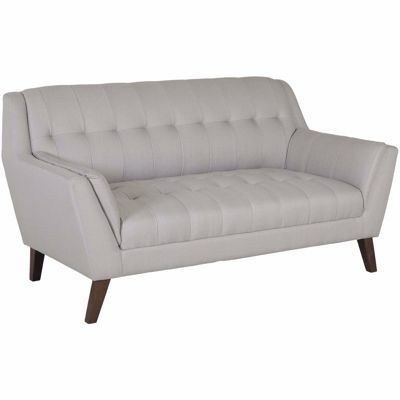 This sofa has a sleek, mid-century modern inspired silhouette with geometric lines, flared arms, and canted wooden legs, all in a compact size that makes it perfect for smaller spaces. 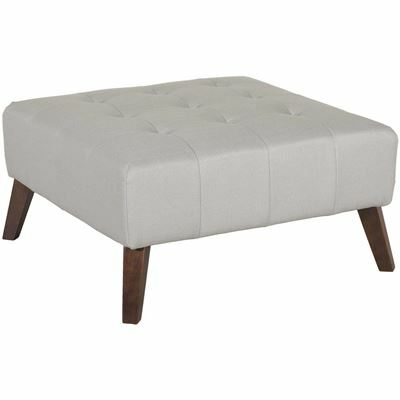 The cement gray color of the tightly-woven polyester upholstery works with the geometric tufting on the seat and back to complete the look. Bring a wonderfully retro vibe to your space with the Binetti Retro Cement Sofa by Emerald Home Furnishings. Binetti Retro Cement Sofa from Emerald Home Furnishings. Couch is covered in a cement-colored polyester fabric.